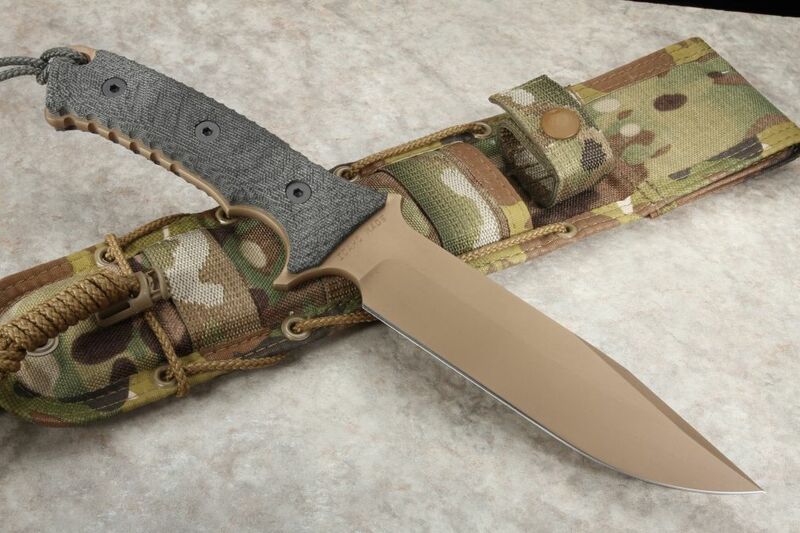 Chris Reeve knives Pacific tactical fixed blade with Flat Dark Earth PVD coating, non serrated version. American Made stainless CPM S35VN steel blade. 55-57 Rockwell hardness. Full tang design. Non serrated version. Hollow grinds on the blade. The handle is textured and contoured black canvas micarta which provides a positive grip in wet or dry conditions. Integral lanyard hole with cord lanyard attached. Jimping on the thumb rest of the blade spine offers excellent traction. Sheath is a First Spear brand made for Chris Reeve Knives. Sheath is kydex lined. 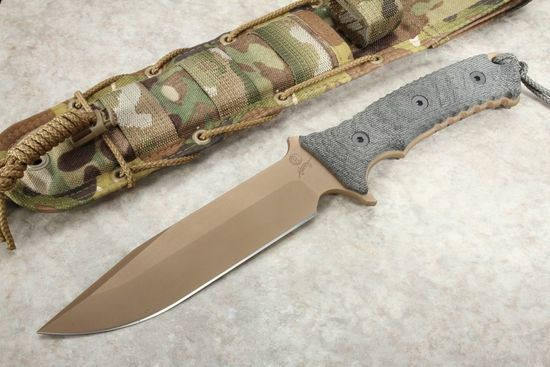 The Chris Reeve Pacific knife is proudly Made in the U.S.A.
First, is the service. Knifeart shipped the pacific at light speed, no quibbles, no fake in stock banner, no drop ship nonsense. What you see here is what you get. I have several fixed blad combat grade knives including Chris reeves Green Beret in 7 inch version. I wanted a smaller at 6" Tank like tough knife for everyday everywhere carry. This knife is it, and the design and quality is top of the line. Ive used it seveal days now, in the kitchen, out at the grill splitting wood, carrying it on belt or in pack out doors. IF I COULD ONLY HAVE ONE BLADE, THIS IS THE ONE. To get the micarta smoother and black, I rubbed olive oil into it, and now it is as black as coal, but not slick.